The makers of the upcoming Pakistani movie Wrong No. 2 released the first poster of the flick and it already looks like an interesting ride to us. ‘Shameless Proposals’ All Set to Break the Stereotypes! People say a picture speaks a thousand words, and this poster is no less. 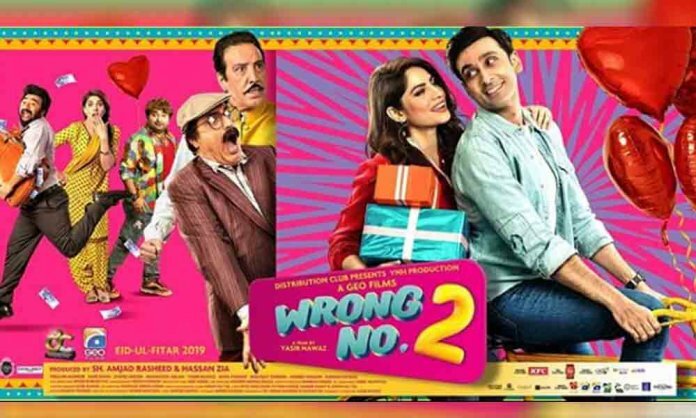 The poster gives out very funky vibes to us in which we can see the whole cast of the movie including Neelam Muneer, Sami Khan, Jawed Sheikh, Mehmood Aslam, Nayyar Ejaz, Yasir Nawaz and Danish Nawaz. Moreover, we absolutely love the chemistry between Sami Khan and Neelam Muneer as they seemed to have a magical moment together. 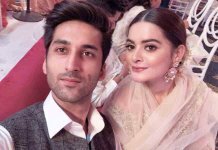 However, the movie is still far away from its release this Eid ul Fitr, the fans are already eager to watch it on the big screens. Did you like the poster? Let us know in the comments section below.